Sports concussion neuropsychologist Rosemarie Scolaro Moser, Ph. D., explains why a neuropsychologist is an important member of the concussion care team. Why Cognitive and Physical Rest After Concussion? 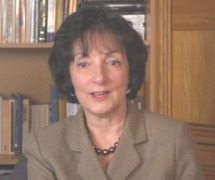 Sports concussion neuropsychologist Rosemarie Scolaro Moser, Ph. D.says student-athletes need to get cognitive and physical rest after a concussion in order to reduce the work the injured brain has to do in order to allow it time to heal. A concussion can lead a concussed athlete to experience serious emotional problems. Parents and schools, says sports concussion neuropsychologist, Rosemarie Scolaro Moser, PhD, therefore need to watch for signs of depression, and be pro-active in providing support for emotional issues resulting from concussion.